Hi everyone! I hope you had a great week. 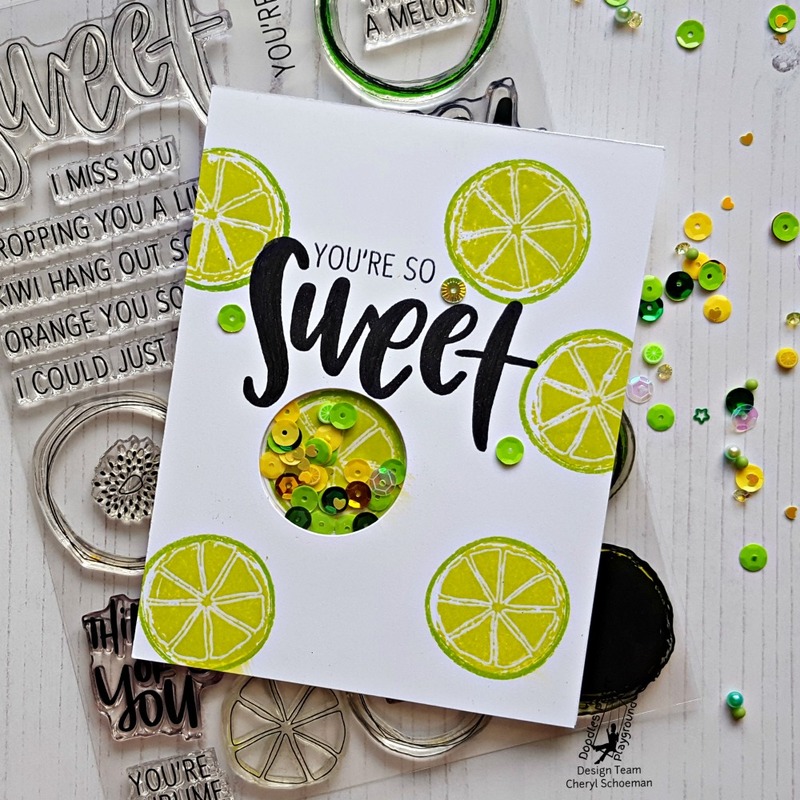 I have a card for a sweet kid today showcasing one Doodle's Paper Playground's new release sparkle blend, Limonade. 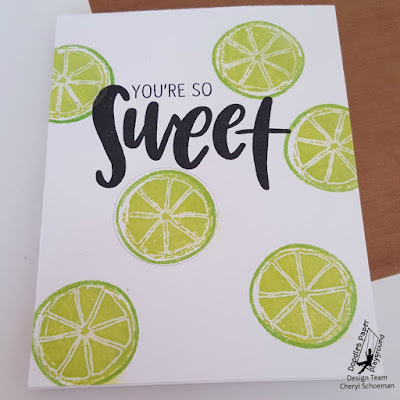 To start my card, I used Versamark ink and clear embossing powder to make all the interior lines of my limes. Then I used the layering stamps to add the colored portions on top. 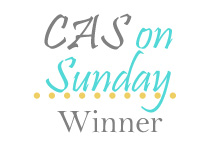 The embossing powder resisted the ink and came through. I used a tissue to wipe off any excess ink on top. Then I stamped the sentiment on top. 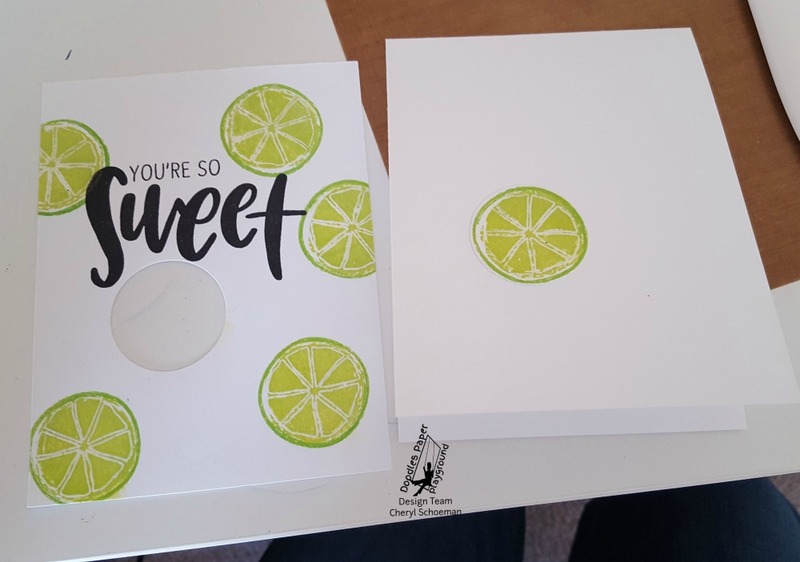 To make the shaker portion, I used the matching dies to cut out one of the limes. Then I laid the panel on top of an A2 card, took the lime out and laid down adhesive. When I put the lime back in, it became the background for my shaker. For the rest, I added acetate to the back of my panel and then foam tape. I put the sparkle blend on my card and laid the panel on top. 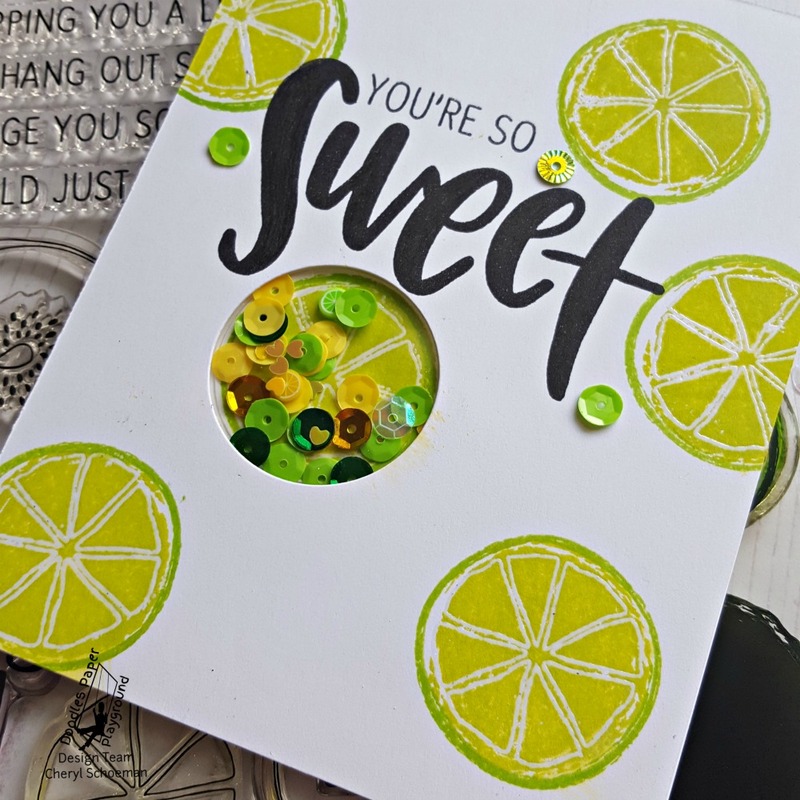 A few sequins on top finished off my card. So cute and clever! 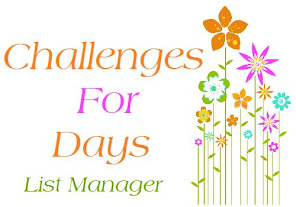 Thanks for linking up to our June challenge at a2z. 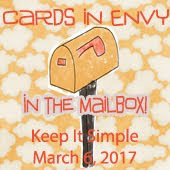 I love the idea and the card rocks. 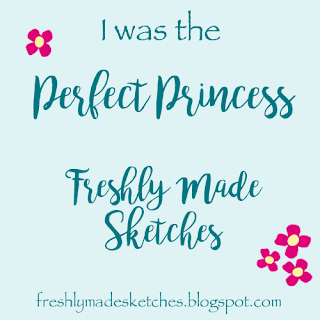 So glad you joined us at A2Z Scrapbooking for the June challenge. Such a CUTE card! The shaker element is fabulous and makes me love it even more. 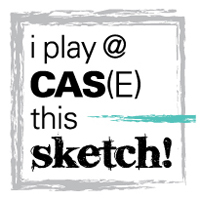 So glad you could join us this month at Where Creativity Meets C9! Such a cool and clever shaker card! 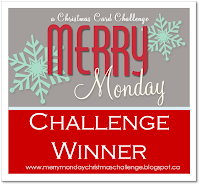 Thanks (belatedly) for joining the WCMC9 Challenge!